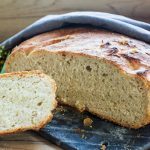 I have always loved the idea of cast iron skillet bread. It looks very beautiful and I also love the idea of tasteful bread baking by itself in the oven. While I can do other things. Well almost by itself. We also eat a lot of bread during the weekend. Except for coffee, there’s not a smell I love more than freshly made bread. I’m usually the first one to wake up in the mornings and while I make my coffee I make different kinds of bread for everyone. Except for this cast iron skillet herbed bread with parmesan, another favourite of mine is the brioche. 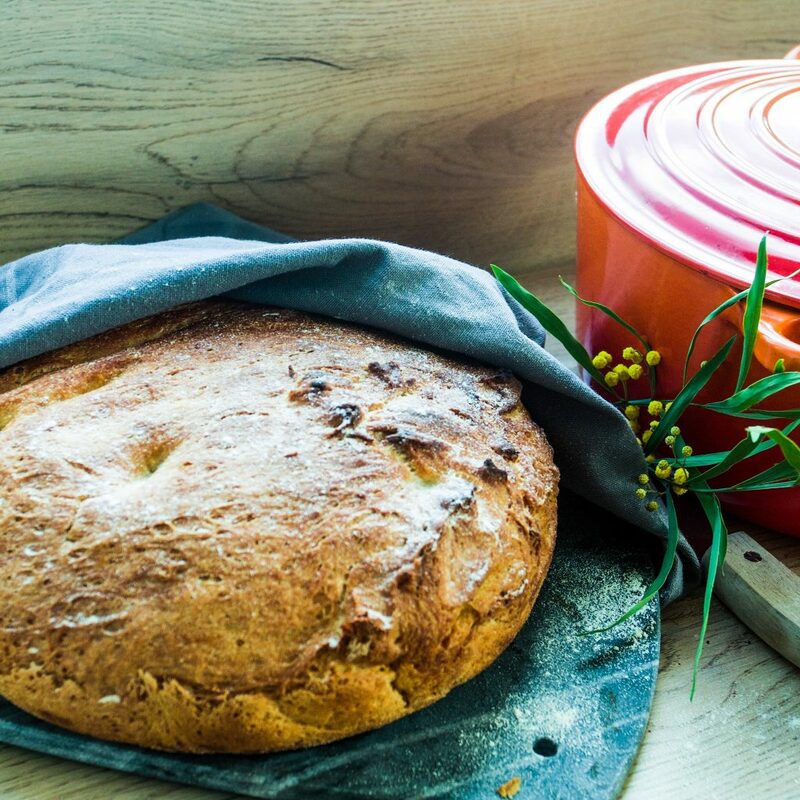 Really the herbs and the parmesan takes this cast iron skillet bread to another level. It gives the bread a fuller taste and it pairs perfectly with piquant cheese, such as a blue cheese. Or why not try avocado and salmon a very typical Swedish breakfast topping. Perfect bread for any day of the week. Mix lukewarm water with the yeast and mix it with the dry ingredients. Cover the bowl with plastic and let it rest for an hour. Important that the dough gets to rest at room temperature and nowhere near a draft. Set oven to 250 degrees Celsius and "bake" the cast iron skillet until 250 degrees. With the lid on. Take out the cast iron skillet and cover the bottom with olive oil and put in the dough, cover with the lid. Bake for 40 minutes at 250 degrees. Take the lid off and bake for an additional 20 minutes. 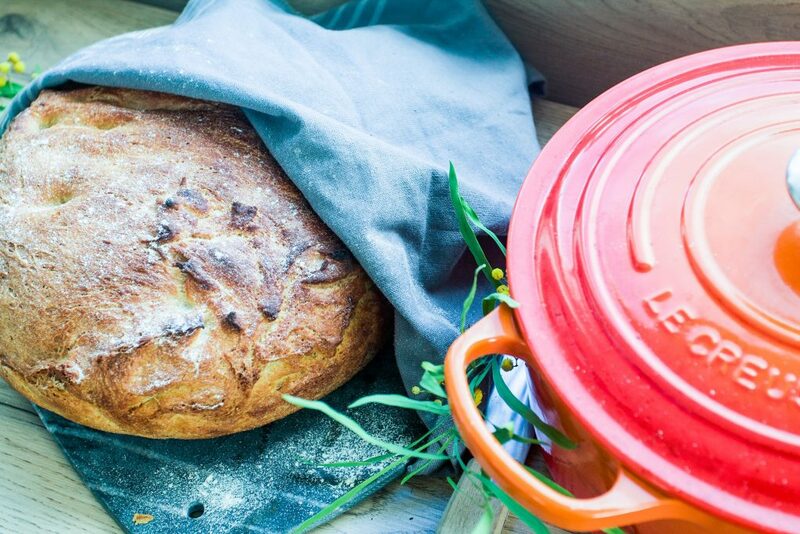 Let the bread cool before you take it out of the cast iron skillet.